While Plex is currently the king of the roll-your-own media server, Kodi is a strong contender that appeals to a large market seeking customization and open-source access. Kodi can't work as a central media server, but its diverse plugin library allows direct streaming from a variety of sources. However, since Kodi is open-source and frequently in flux, be prepared for a bumpy ride when installing and using the app. Because Kodi is a popular media center within the piracy community, Kodi's legality has often been in flux. Kodi's core media streaming software is completely legal, but some of Kodi's unofficial add-ons enable the streaming of pirated content. Piracy is definitely illegal. You need to be running OS X Lion (10.7) or later to install Kodi. Download Kodi for macOS from the Kodi website. Kodi is available for multiple operating systems, so make sure you download the correct file. Do not download Kodi from any other unfamiliar source, as it may come with unwanted malware. Chrome and Chromium users will be prompted to confirm the installer download. Click Keep to continue downloading the installer. Open the downloaded DMG and drag the Kodi icon into the linked Applications folder. Open Kodi from the Applications folder. Depending on your settings, you may receive a Gatekeeper notification saying Kodi cannot be opened because it's from an unknown developer. If so, right-click the Kodi icon, click Open from the context menu, then click Open in the Gatekeeper dialogue box. Kodi will open in full screen and display your databases in the sidebar. Click Movies, then click Enter files section to start importing your movie library. Your movie files and any other media must be locally accessible to the device for Kodi to access it. This could mean on a hard drive, or on a networked server. If you can't find the files in Finder, you won't be able to add them to Kodi. Click Add Videos at the bottom of the list of folders. Click Browse, then select the directory where your movies are kept. Click OK when you reach the desired folder, then click OK again to add the folder's contents to your database. Press ESC to return to the main menu, then click Movies. Press ESC to go back one screen at any time. In the resultant pop-up window titled "This directory contains," click Movies to set the metadata type. This will tell Kodi to automatically connect your movies with the relevant metadata from the Movie Database. You'll see the action in progress in the top right of your screen. You can continue to add TV shows, music, and other types of media by choosing the appropriate library section and repeating the above steps. Make sure to choose the correct media type so Kodi can attach the correct metadata to your media. Kodi's functionality can be significantly extended with add-ons or plugins. You can find officially-sanctioned plugins in Kodi's add-on and plugin library; Kodi makes an effort to exclude add-ons that enable piracy. As a result, there exists a black market of Kodi add-ons used for streaming pirated content. Official Kodi add-ons and plugins are installed from within the application. Click Add-ons on the left, then click Downloads at the bottom of the menu when available. This will reveal a list of categories containing official Kodi add-ons. Once you've chosen an add-on to install, click its name in the list of available add-ons. In the next window, click Install to install the add-on and any necessary dependencies. For example, the YouTube add-on installs five add-ons required for it to function. If you've ever installed an application through a package manager, you'll be familiar with the process of finding and installing dependencies before you can use an application that depends on them. To use an add-on, press ESC to return to the main Add-on menu, then locate your installed extension in the list. The YouTube extension, for example, will be found in Video add-ons. Click the icon associated with the add-on to begin the setup process. Click through the steps of the setup process, following the instructions as they appear. Once the setup process is completed, you'll be directed to the main menu of the application. You'll notice that navigating add-ons in Kodi is primarily text-based. Each menu folder contains a section or action of the add-on. You won't see the familiar graphical interface of any streaming services here. You're done! The official add-on can now be accessed through Kodi's add-ons menu. One of Kodi's claims to fame is its ability to stream content from the BitTorrent network. Streaming is fast, robust, and surprisingly stable for an open-source P2P video streaming client. If you're interested in getting streaming extensions from outside of the official Kodi marketplace, like from Exodus, you'll want to visit TVAddons' Fusion Installer page and follow the instructions there. 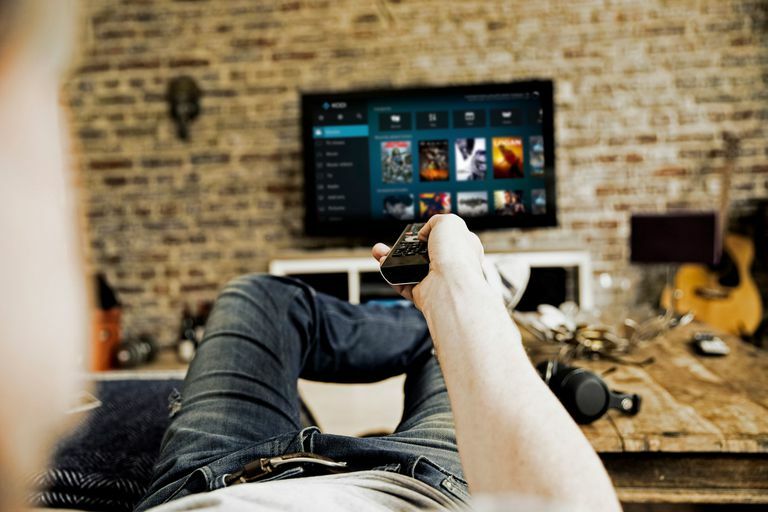 With a little persistence and persuasion, Kodi can be set up to stream live TV. This will work for broadcast channels that send digital signals. To receive these channels, you'll need a USB-compatible digital antenna connected to your Mac. Alternatively, you could also run Live TV streaming on your television, which is a more natural fit for an antenna. PVR server: Interprets the data from your HD antenna and translates it into video files that can be managed by Kodi. PVR add-on for Kodi: Takes the server's video files and feeds them into Kodi. Graphical user interface (GUI): You need a graphical interface to interact with all these things. Your GUI is the Kodi app itself, so that's taken care of. There aren't many PVR servers available for the Mac. MythTV, as well as EyeTV and TVHeadEnd are the three main options. Following their installation instructions is the best way to proceed, as they are the most detailed and up-to-date. Be sure to also grab the PVR front-ends so the content has somewhere to go once it's inside your Mac. Is Kodi Right For Me? Much of the fun with Kodi is about experimenting with new add-ons and tweaking your setup until it's perfect. It's similar to running an obscure distro of Linux; some people love the work required, while others may not. If you fall into the latter category, Plex is a better media server option. But, if you want to get your hands dirty creating the perfect media setup, Kodi is ready for you to take on.